I’ve enjoyed our third stay in southwestern Ohio. We drove a short 40 minutes to visit nearby Clifton which was settled in 1802. 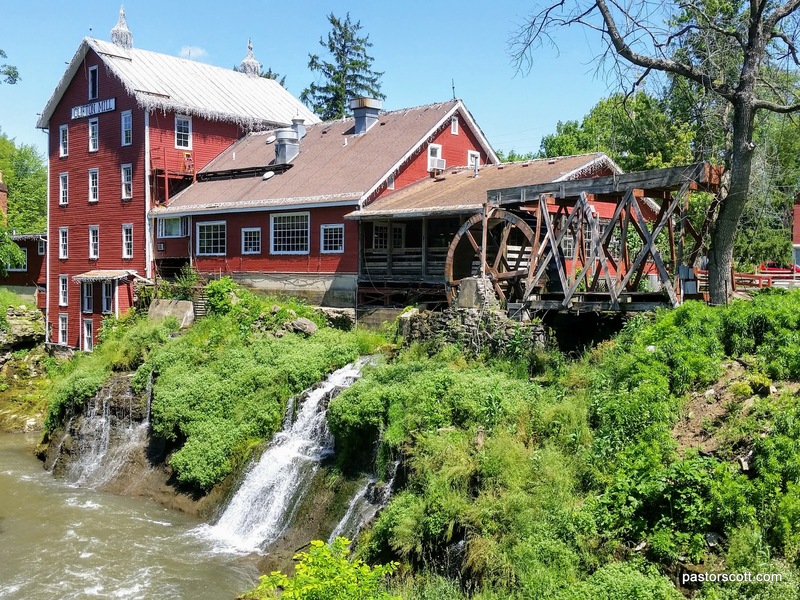 The Historic Clifton Mill is one of the few working water powered grist mills in the U.S. It contains a gift shop and restaurant. Not far from there we visited Clifton Gorge State Nature Preserve. We hiked one of the trails down by the river to the falls. We really liked the area and hope to go back another time. A fun local event was the Corwin, Ohio Tractor show. We got to town around 11:30 for the tractor parade and saw people putting their chairs under a tree so we joined them and found that it was a family of several generations that live in the area and came to see their friends and neighbors on their tractors. We saw a lot of old tractors that have been refurbished and look like they did when they were new. 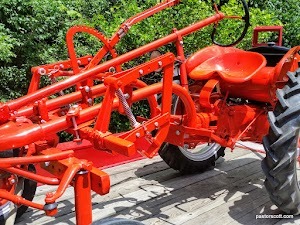 I saw one that I had never seen before and found out it was a cultivator tractor built in 1948 for use on truck farms. The engine was behind the driver so they could see the furrows in front of them. Following the parade there was a meal of pulled pork, coleslaw, green beans with new potatoes, desserts and drinks. The tractors were parked all around so we could get a closer look. A fun way to spend a sunny Saturday morning. 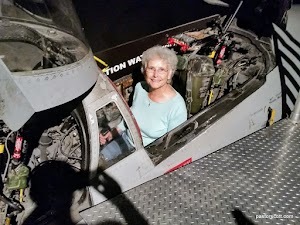 Being as close to the Museum of the Air Force in Dayton as we were Scott couldn’t resist making another visit. A new section has been added since our last visit so we made a bee line to it. We focused on just that hanger and one other rather than trying to see the entire place – an exhausting effort! We especially enjoyed seeing the Presidential planes as well as many experimental, one-of-a-kind planes. We did an earlier review of the Museum here. 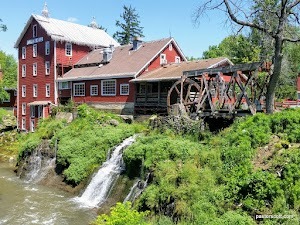 This entry was posted in Jackie and tagged history, museum, nature, Ohio, sightseeing. Bookmark the permalink.